Ronson Gears are highly qualified to ensure customers are receiving a quality gearing product thanks to their Wenzel GearTec LH1010 Gear CNC gear measuring machine. The leading edge, German made gear measuring machine is capable of measuring the profile, lead, run out, and pitch accuracies of spur gears, helical gears, bevel gears, and splines in both internal and external executions. This gear measuring machine features generative gear measuring software that is both fast and precise and is capable of measuring up to 1.4m diameters. 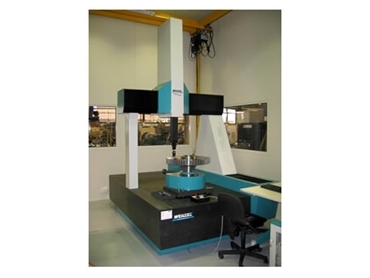 The Wenzel GearTec gear measuring machine features a rotary table which enables high-precision 3D and 4-axis gear measurement, as well as offering all the capabilities of a CMM, providing a versatile CNC gear measuring facility. Ronson Gears gear measurement technology allows them to offer their gear inspection service to competitors, government and defence institutions, and the industry as a whole.